King K. Rool made his debut in 1994 in the Donkey Kong Country game. He is the leader of the Kremlings and his favorite hobby is stealing Donkey Kong's bananas. 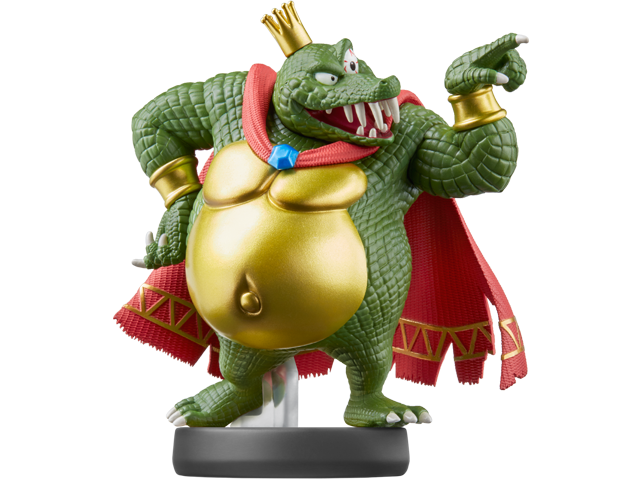 King K. Rool is compatible with several games. Click here for details.